Whether you’re on a road trip or exploring your own neighborhood, roadside markers and “point of interest” signs are a fun way to learn about our state’s history, and establish a connection with events that happened on a particular spot so long ago. 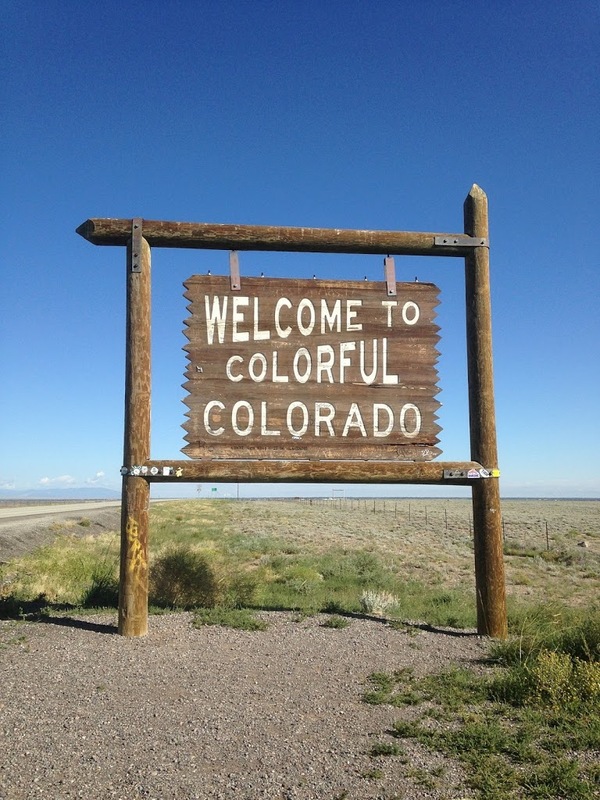 The mid-twentieth century was the heydey for the creation of historical markers in Colorado. Many markers were installed in the 1930s as WPA projects, such as one in Lakewood near Red Rocks Amphitheatre. Many other markers were installed in the ’50s and ’60s. 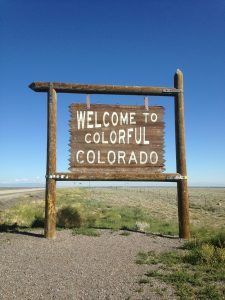 In 1972, the Colorado Historical Society published a guidebook listing all of the state’s historic markers. This guidebook, Point of Interest, has been digitized and can be viewed online via our library. It’s an illustrated listing, divided by county, with interesting facts about the marker and/or the event it commemorates. This guidebook is also a good historical resource because many of the markers listed are no longer very visible, or even still in existence. For example, the guidebook lists a marker having been placed at the site of Camp Adams, a military camp during the Spanish-American War (see page 28 of the guidebook). The site is now Denver’s City Park Golf Course, and the marker is nowhere to be found (even before construction on the golf course began this winter). Other markers still exist, but are quite hidden due to changes in landscaping, urban infrastructure, etc. Another fun thing about the old markers is that often times they commemorate events that have long been forgotten. Where was the old stage stop known as “Fort Wicked?” Which Colorado county claims to have “the oldest oil field in the West?” On which Denver block can you find the marker erected in 1950 to commemorate the city’s streetcar system, which was retired that year? Take a look at Point of Interest to find these and hundreds of other interesting sites. with their own historical and/or artistic significance. The guidebook lists the medium for each marker, and identifies the parties responsible for creating, funding, or installing them. So next time you’re out exploring, take a look at some of these markers (and the many that have been erected since), and get to know our state a little bit better.